Middle school is a time of changes for your whole family. Your tween/teen is likely going through the most obvious changes – growth spurts, pimples, mood swings and all the rest. These developmental changes are bound to affect everyone in the house. If you are a homeschooling family, being prepared ahead of time for the changes that come with middle school can be a sanity-saver for the homeschooling parent. Understanding that your child is not only changing physically but growing in his ability to reason (and argue) as well will help you make the most of the middle school years while avoiding some of the pitfalls. One of the biggest challenges for homeschooling parents is the dual role of teacher and parent. 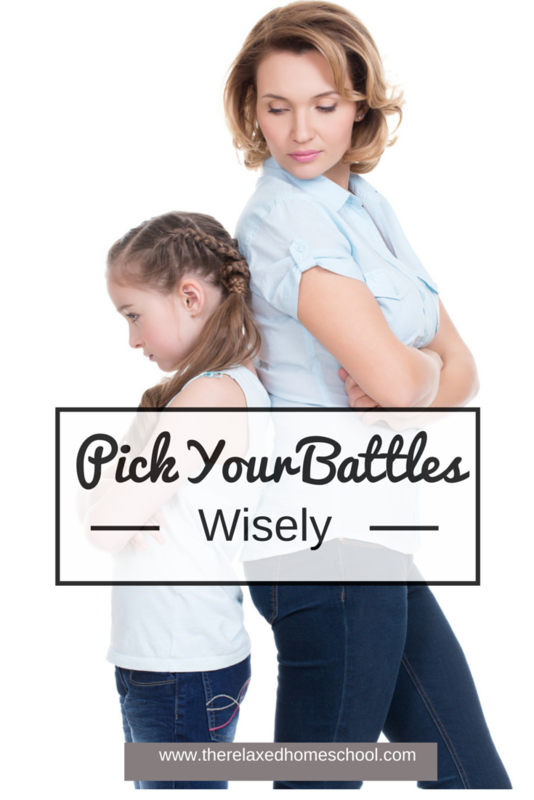 If your child is prone to wanting to discuss every decision you make it’s important to draw some lines in the sand before being drawn into battle. It’s important that you and your partner present are very clear on what your goals are in terms of homeschooling and of parenting and that you consistently present a united front. Without clear goals and mutual support, you are far more likely to waste time on a daily basis in a battle of wills with your middle schooler. Give your child some say. Ask your child for input when choosing curriculum for middle school. If you have two math programs you are considering ask him to take a look at the website or description of each and choose which is more appealing to him. When you’re planning the school year ask him to decide on a loose schedule for his school days rather than you listing what must be done and in what order each day. And, finally, give him lots of room to work. Is there a reason your child cannot do work at the coffee table while sprawled on the floor? It might look uncomfortable and messy to you but, is it really worth an argument? Remember that you are the grown up. When you’re in the midst of homeschooling one or more middle school students it’s easy to get worn down and go to their level. There is no need to negotiate every detail of every day. Be consistent. If you say “No.” Mean it. Always. However, avoid giving in to the desire to micromanage your child. Learn when to bite your tongue and let them learn on their own that a flannel shirt and jeans, while possibly the height of fashion, is a poor choice for a hike in Florida in mid-June. You can gradually ease your child and yourself into middle school. Be flexible without giving up your standards. Respect your child’s developmental growth and his new-found “need” to question everything. Help him find ways to pursue his new logical skills in ways that don’t involve him questioning your choice to make spaghetti for dinner that night. Pick your battles wisely. Some are worth it – most aren’t.